Hello fellow alumni! We hope that all of you are doing well wherever you are. Help us keep in contact with you with the latest news from the Equine Science Center by keeping in contact with us! We’d like to hear news about your work, families, horses and lives which you can share with us on our newly designed website. 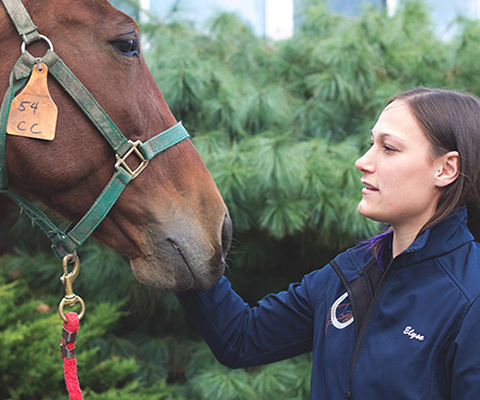 Equine Science Grads: We want to hear from you!! There are plenty of things we’d like to share with you, including our newsletters, annual report and announcements of our upcoming events. Please try reconnecting with us by filling out the appropriate fields on the website under “Connect with Us”. Our new Alumni Connections section will also allow you to post stories you’d like to share with us. 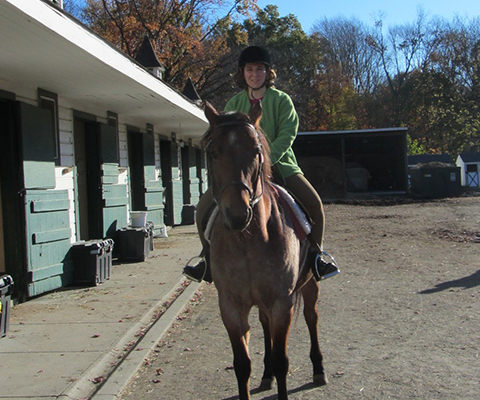 Please spread the word about the Center with family and other horsey friends and don’t forget to “like” us on Facebook! We would love to catch up with you to find out what you have been up to since graduating and hear stories about your college days working with the horses at Rutgers. Alumni and Industry Leaders continue ambitious fundraising campaign. Launched in 2000 by alum Dr. David Meirs II (B.S., Agriculture, 1950), industry leaders and alumni continue their fundraising efforts coinciding with the overall university campaign. The Rutgers Equine Science Center, which celebrated its tenth anniversary in 2011 is the premier resource for everything equine. Known as a national treasure, the Center is recognized for its achievements in ensuring the health and well-being of horses and the horse industry. 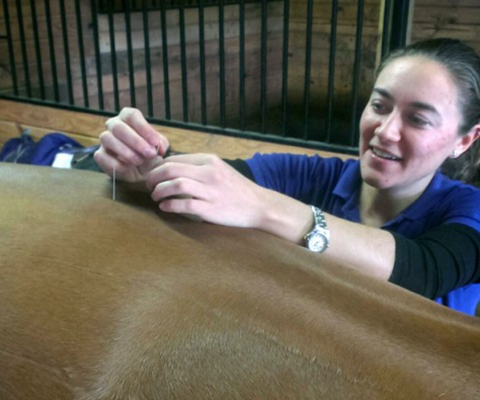 The Equine Science Center’s internal programming and outreach to the community are legendary. Every day students and the public continue to learn about horses, as the Center advances the knowledge base in the equine sciences and explores the unique relationship between horses and humans. Join fellow alumni and equine enthusiasts by partnering with the Center with a gift to ensure the Center’s future for decades to come. The Center recently initiated an ambitious $6.5 million campaign to endow a chair in equine sciences, and to expand faculty and research capabilities as well as programming and outreach. Learn about the pivotal role your gift can play in training new generations of knowledgeable, passionate equine advocates and specialists by reaching out to us online or by phone. Gifts in support of the Equine Science Center may be made in several ways. Further information is available on this site or by calling the Center at (848) 932-9419. Since completing my Ph.D. at Rutgers, I have been working at the University of Wisconsin - River Falls as an Assistant Professor of Animal Science. 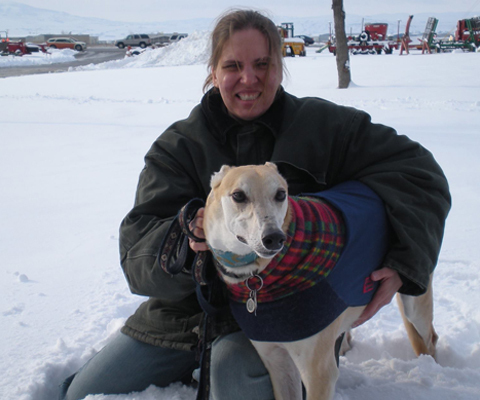 My position is teaching focused, and two courses I regularly teach are Animal Physiology and Equine Production. I love my job at UWRF, and I know that my involvement with the Equine Science Center helped immensely in preparing me for my current job. I cannot thank the ESC enough for the many opportunities I was given to broaden my equine knowledge through various research, extension, and teaching experiences!! I am currently finishing up my fourth (and final!) 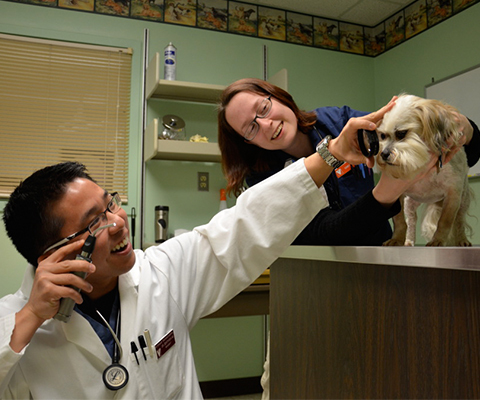 year of veterinary school at The University of Pennsylvania's School of Veterinary Medicine. I plan on applying to equine veterinary practices in the New Jersey area for an internship post-graduation and pursue a career in equine sports medicine. My time at the Equine Science Center at Rutgers truly helped shape my career path and I am so thankful for Dr. Malinowski's guidance and support throughout the past 8 years! The Rutgers ESC is the heart and foundation of my career. Earning my PhD at Rutgers allowed me to fully combine my passion for horses with the rigors of science and critical thinking. I use the knowledge and skills I gained there everyday in my job as the Director of Equine Research and New Product Development at Purina. I have fond memories of my time at RU, interacting with faculty, teaching students, staying up all night taking samples, studying my rear off for big exams, running assays until my shoulder froze up and more! My work and time at the ESC prepared me extremely well for the feed industry. I am proud of the influence I now have on horse health and nutrition, and highly recommend the Animal Science graduate program at Rutgers University. Yes, have my LinkedIn accessible for other grads to connect with me.